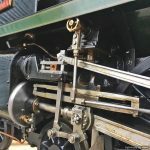 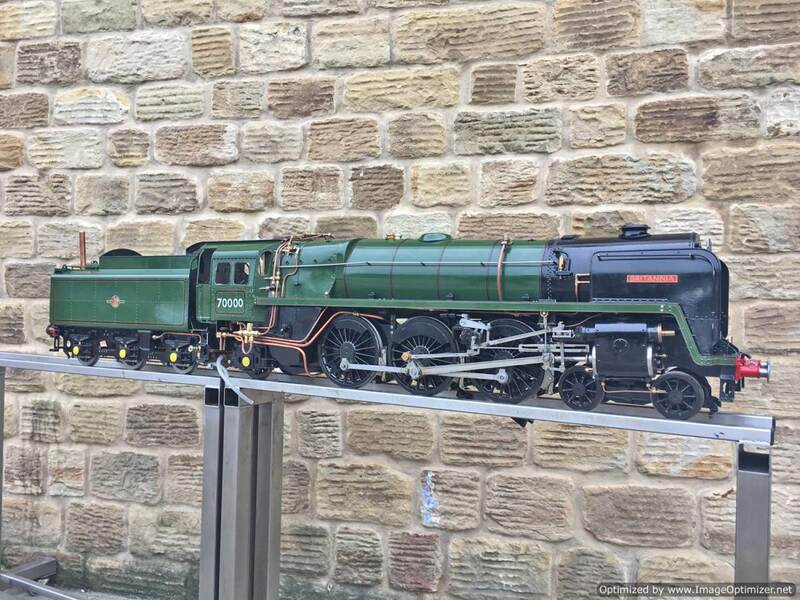 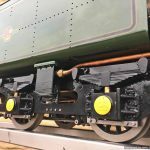 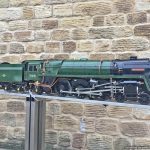 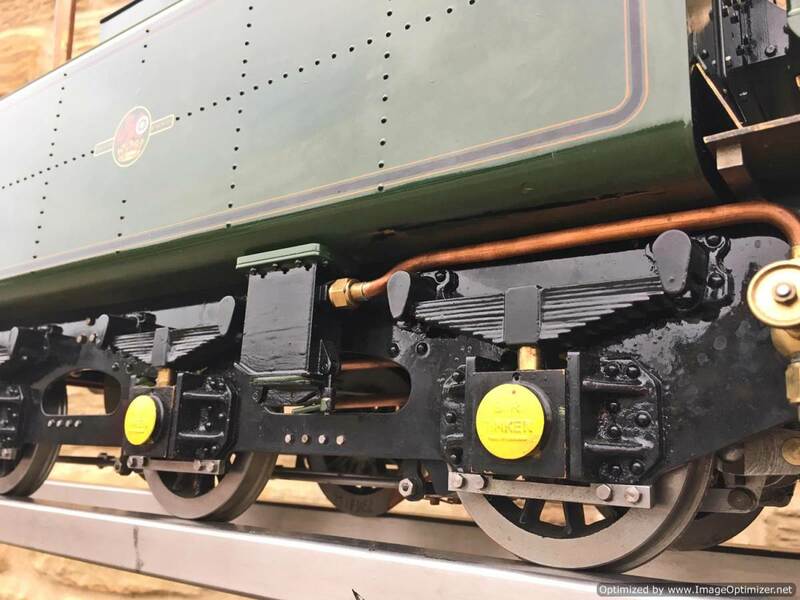 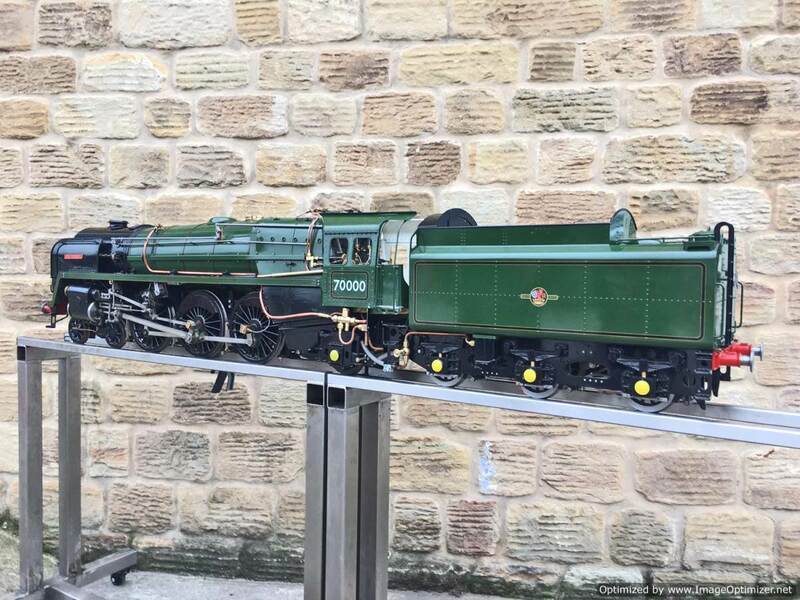 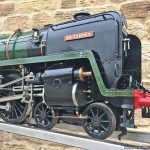 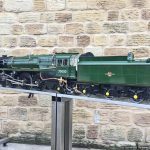 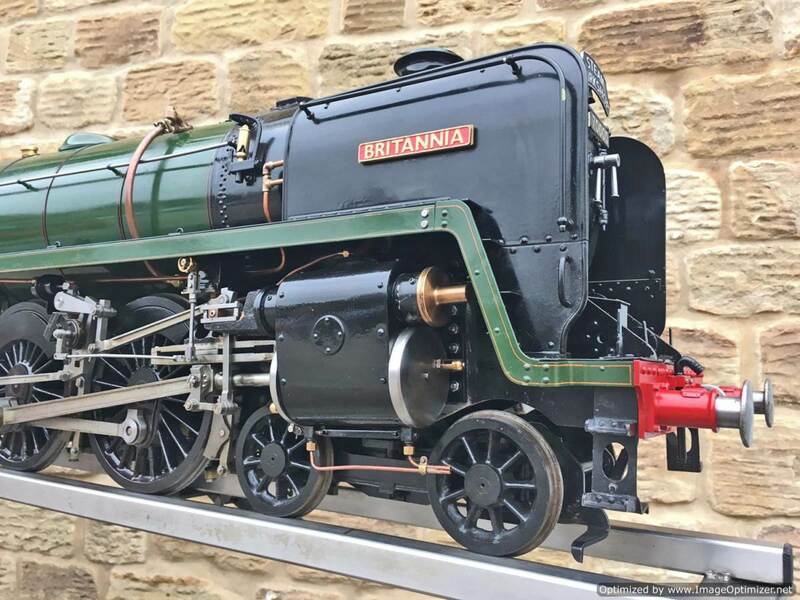 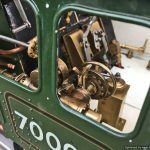 Here we have a brand new 5″ gauge BR Britannia. 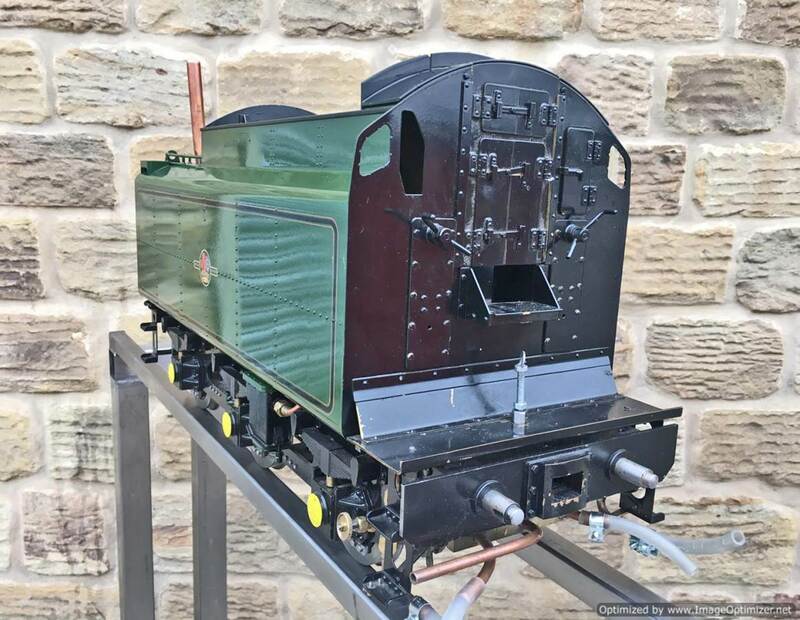 We sold this loco originally as an ‘almost’ complete, unpainted model a few years ago, ( http://www.steamworkshop.co.uk/portfolio/5-gauge-britannia/ ), and she’s now come back in part exchange having been finished, painted and test steamed,…… judging by the front tubeplate, for no more than an hour or so we would guess. 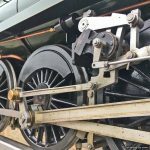 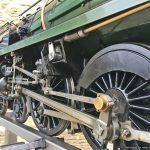 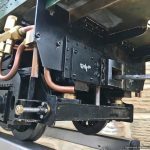 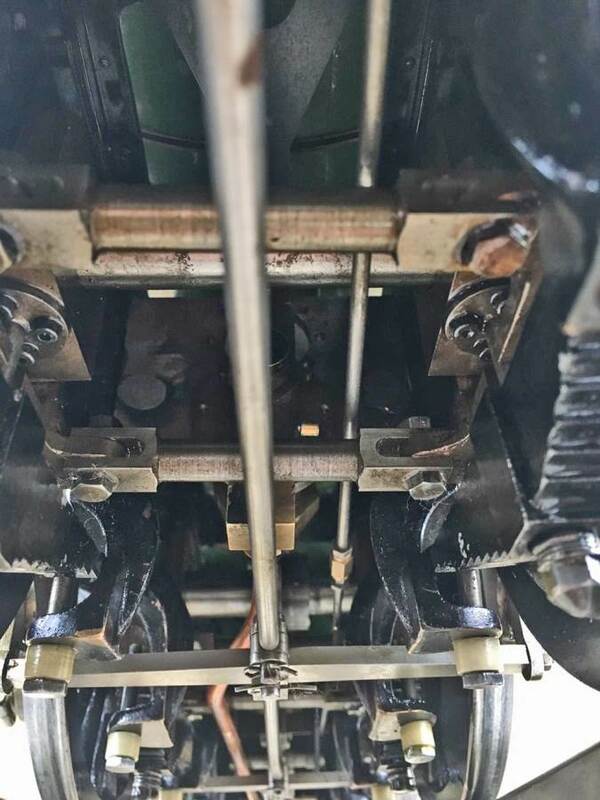 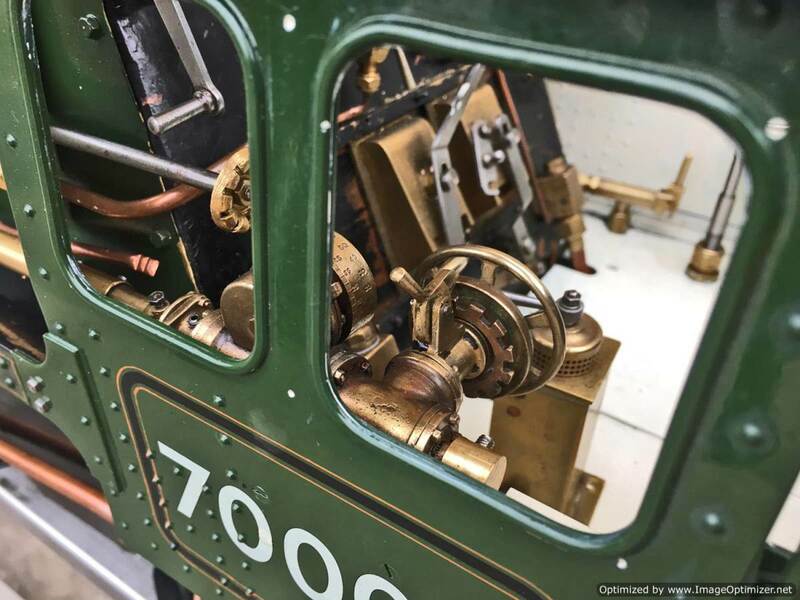 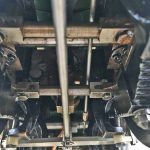 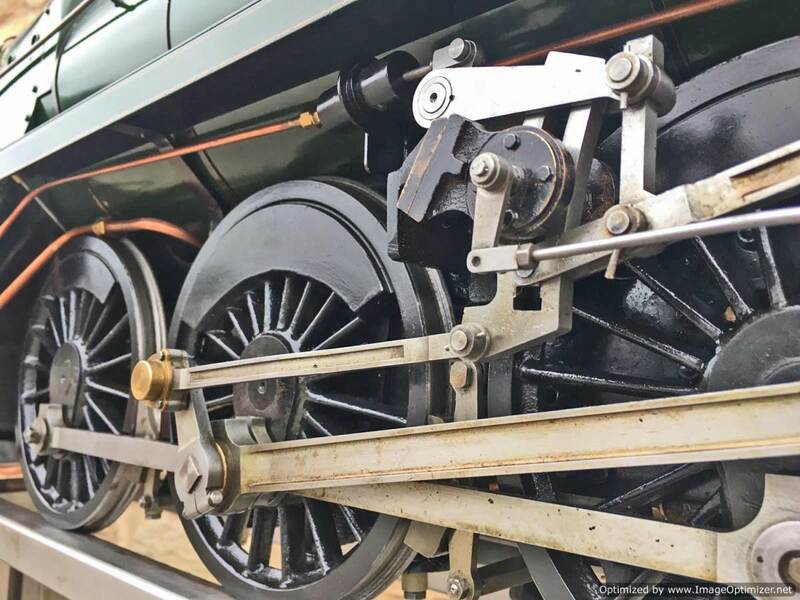 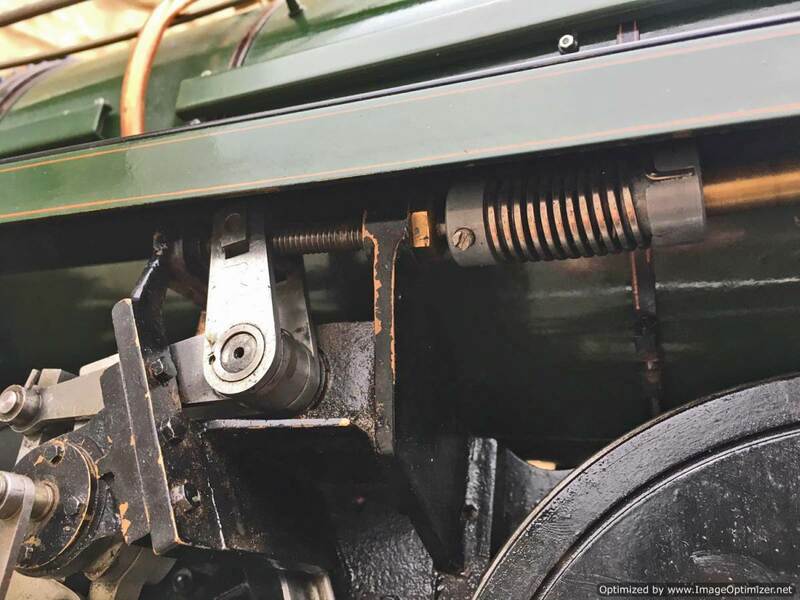 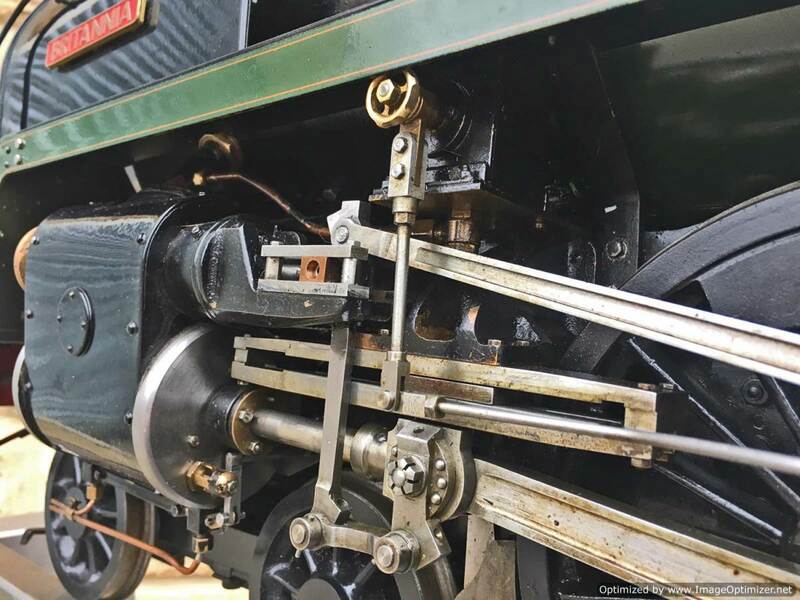 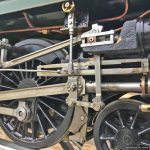 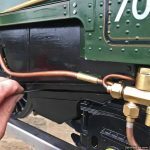 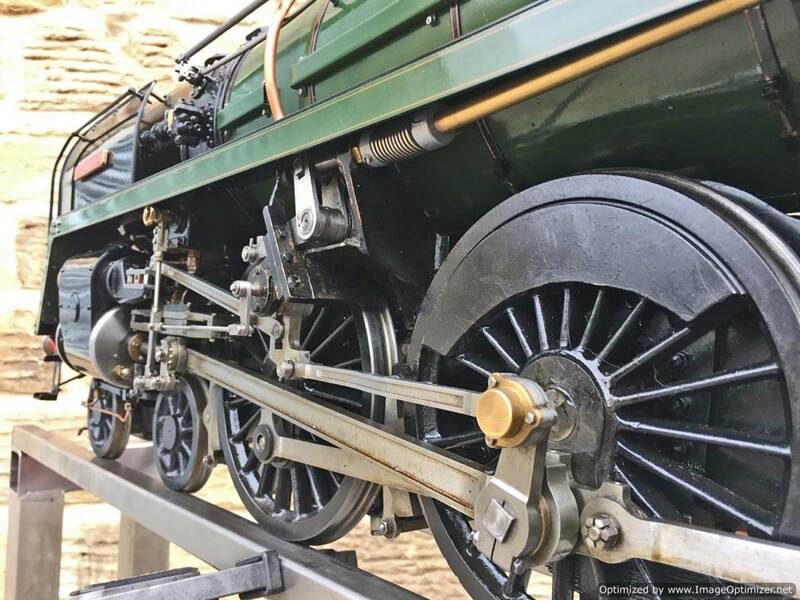 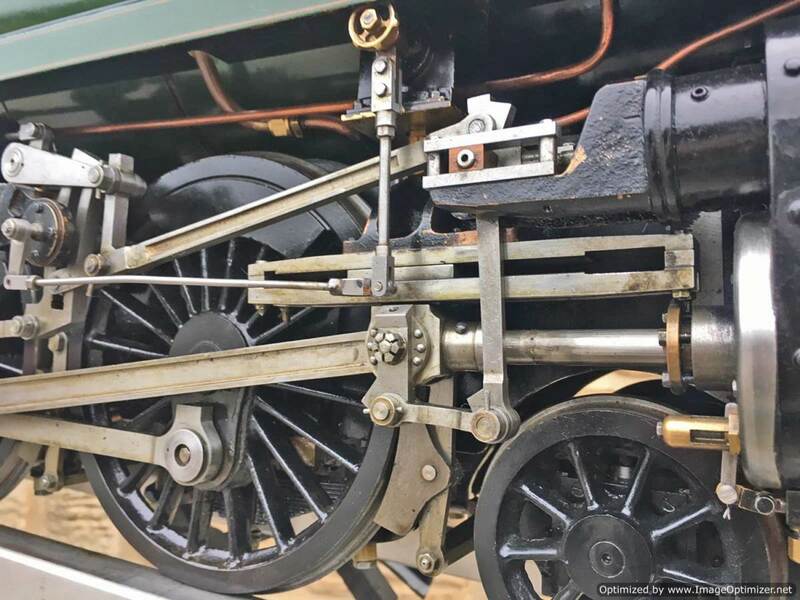 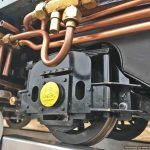 The more eagle eyed amongst you will have spotted that the return cranks are not set correctly in the pictures, so there are a few ‘new engine’ teething issues that we will be addressing here, before she leaves the works. 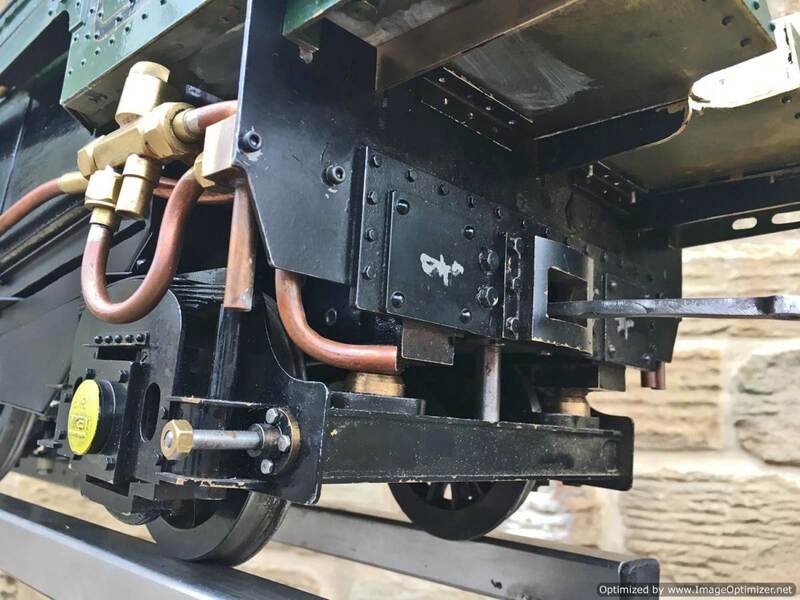 The roof too has been crudely cut to enable access to the backhead,….. again, we will sort that out here at the workshop before she leaves for a new home. 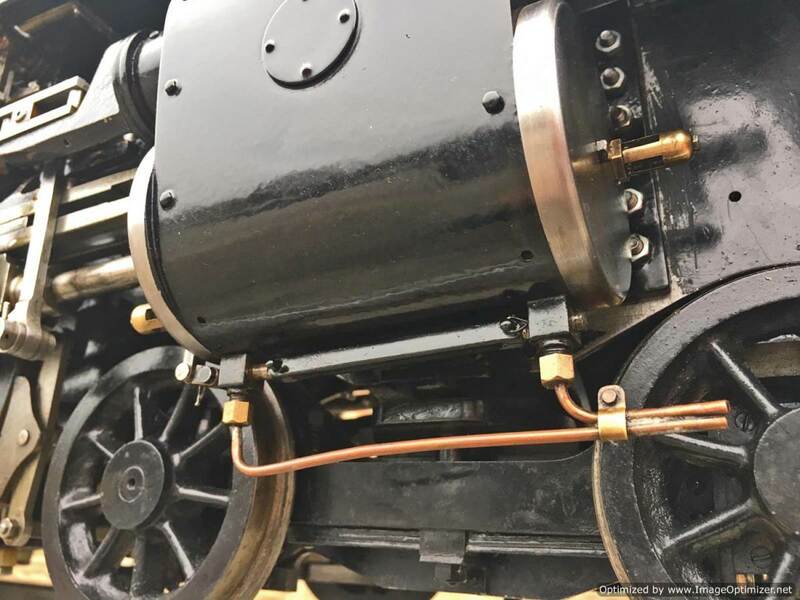 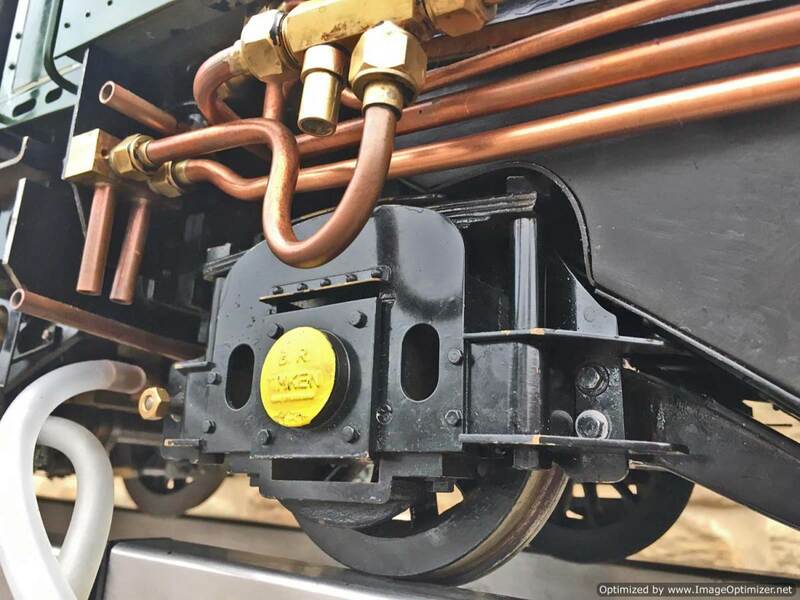 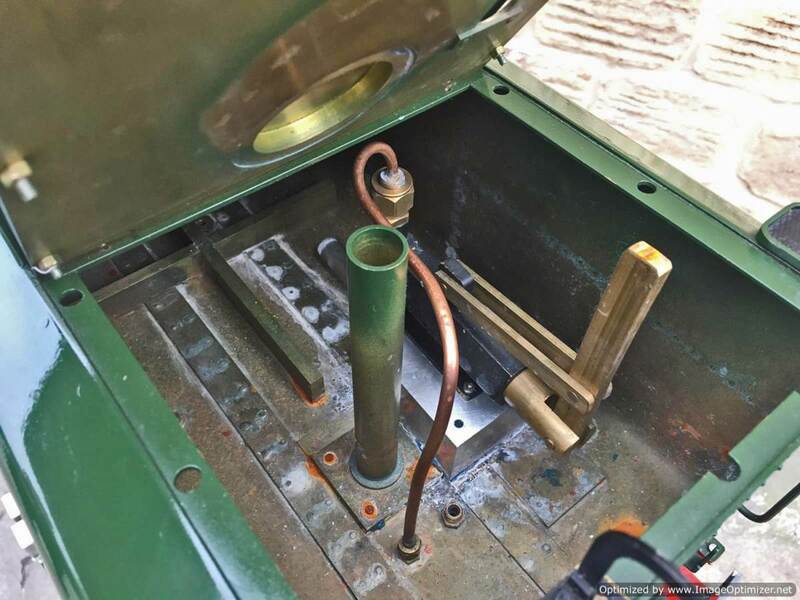 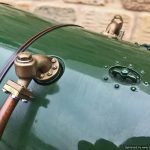 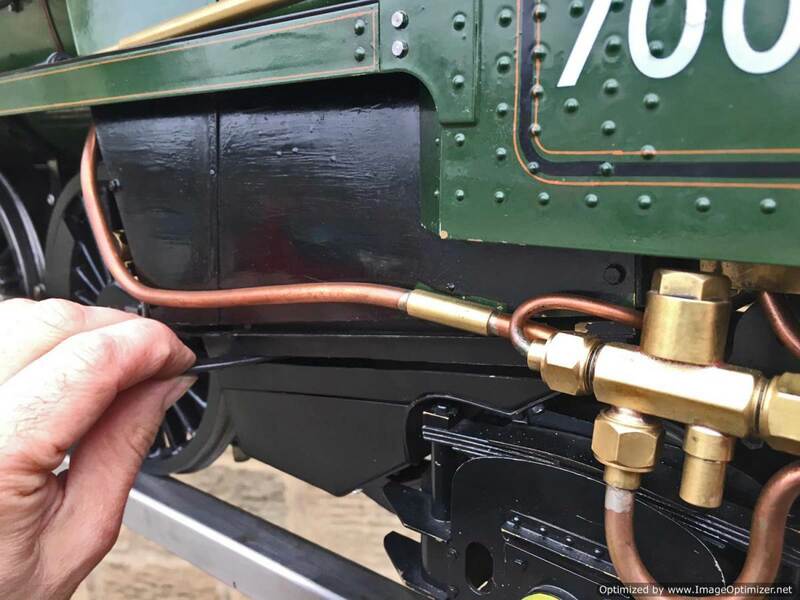 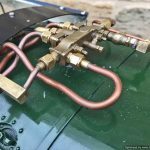 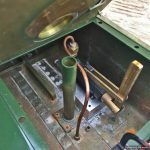 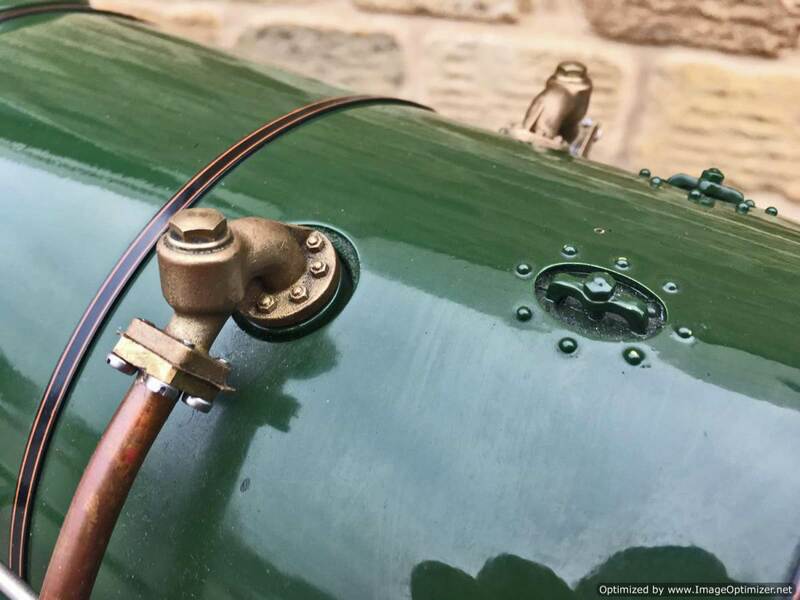 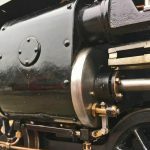 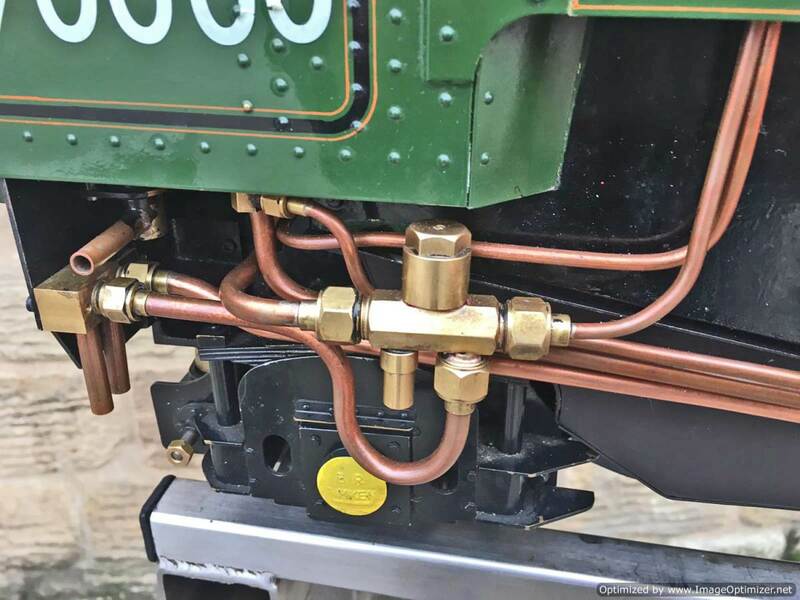 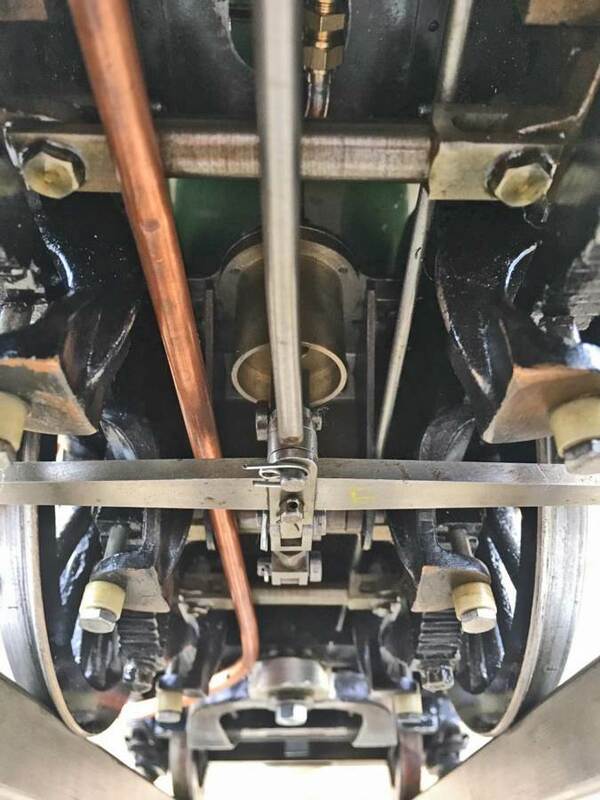 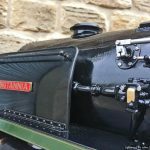 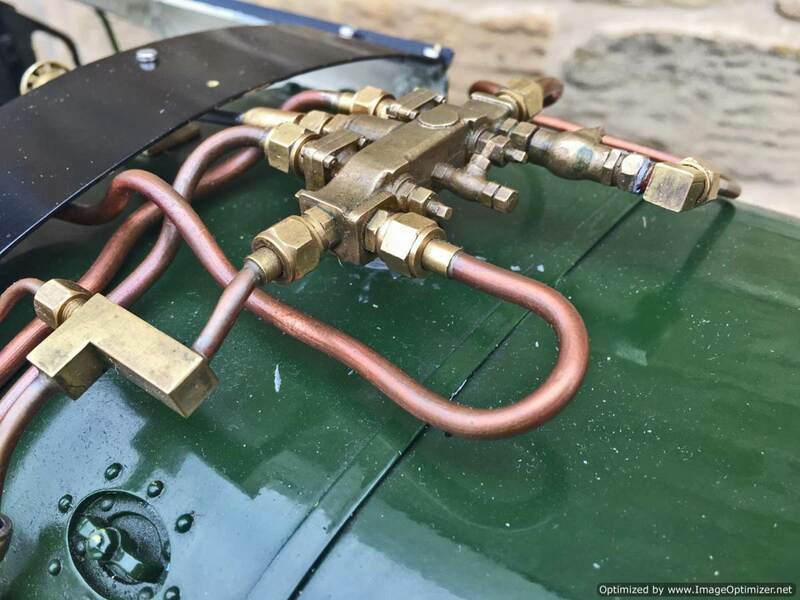 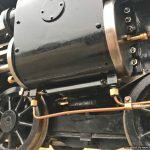 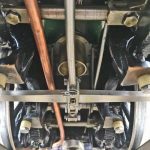 The boiler is a brand new professional one with it’s original hydraulic certs, as well as a fresh 4 year hydraulic test and fresh annual steam test so she’s ready to play. 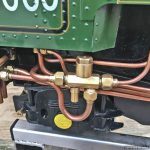 We think she’s to a combination of the Perrier and the Spink drawings, and obviously contains no Modelworks bits at all. 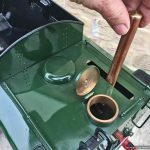 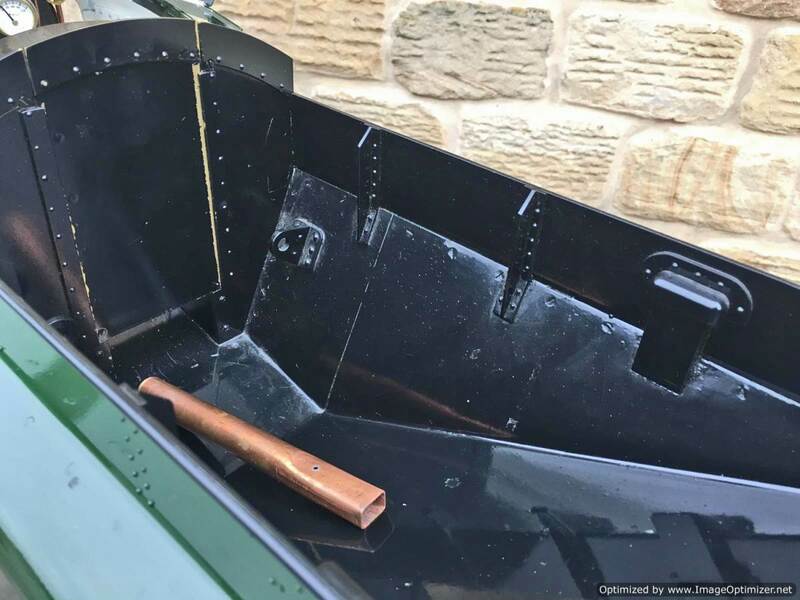 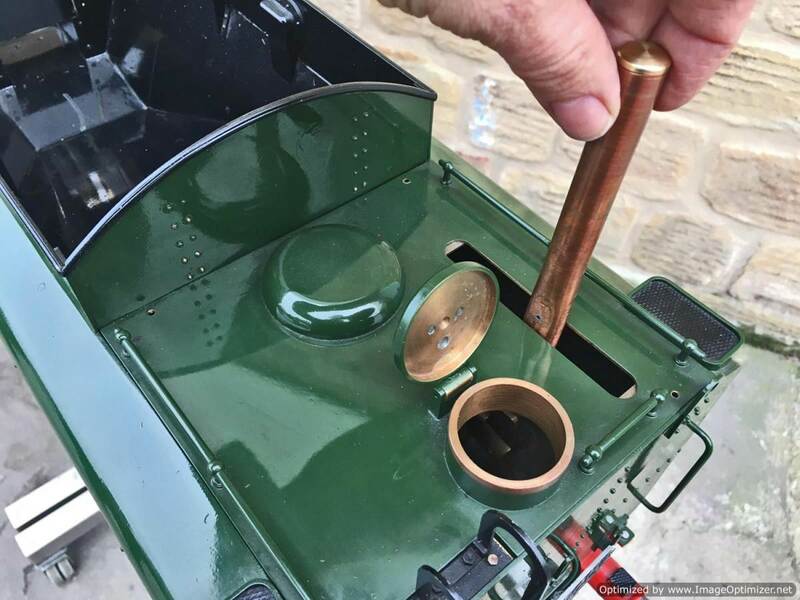 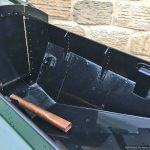 Most of the Hewson detailing castings are there, including the scale reverser, and pleasingly there is even a fully balanced water scoop on the tender! 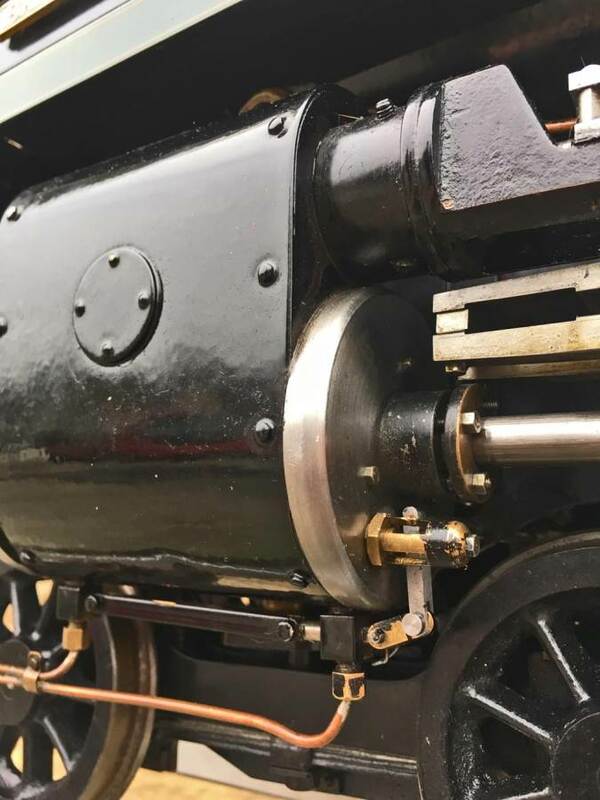 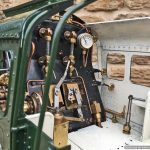 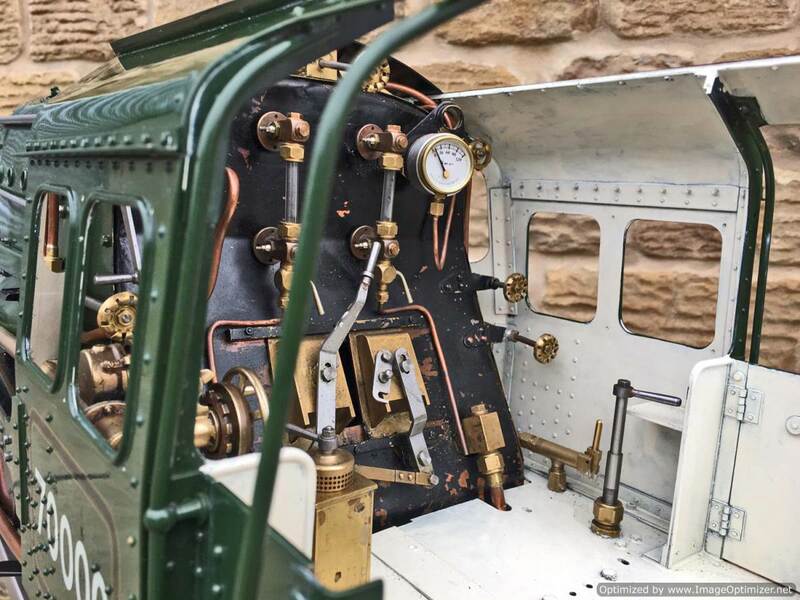 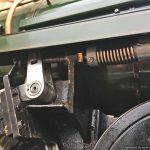 Fitted with a pair of chunky injectors, an axle pump with a footplate mounted bypass valve, and of course a hand pump in the tender. 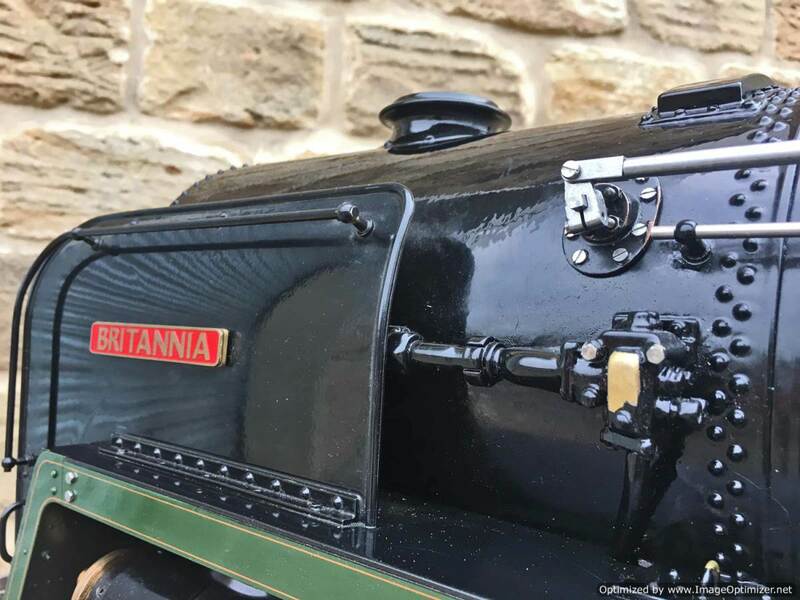 We’ve got a couple of little jobs to do before she’s ready to leave, but all in all this is a beautifully made, professionally boilered brand new Britannia and she’s ready to play.